This is where you can inspire others with stories of your community's energy heroes! Just click on the green "Submit a Story" button above and send us your ideas about a neighbor, a business, a school…anyone in your community who is taking actions from which others can learn. 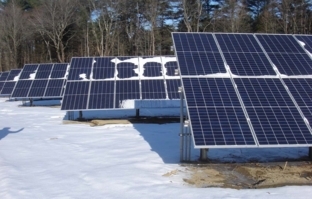 Municipal solar project to save Colchester $450,000 and net the town almost $45,000 income through the sale of excess energy. Jock was elected chairman of the Peacham Energy Committee this past summer for a 2-year term. His actions at home surely do not contradict his work towards creating a more electrified community; at his house alone, he owns an electric vehicle with a level two charger powered by two Tesla batteries provided by Green Mountain Power, a PV which generates the energy for his house, car, and the grid, a hybrid hot water heater, a nest thermostat, and a wood pellet stove. Yet, his personal success in creating efficient electricity has not stopped at home. 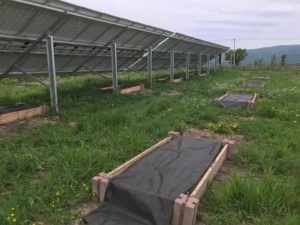 The University of Vermont researchers who demonstrated that saffron could be profitably grown in Vermont have teamed up with Peck Solar to investigate the potential of growing saffron within one of their solar fields in New Haven, VT. At a retail price of $5,000 per pound, saffron is the world’s most expensive spice. 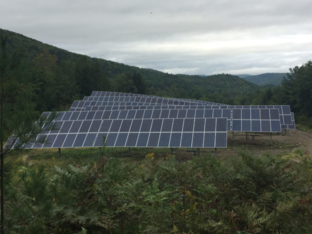 The Thetford Strafford Community Solar (TSCS) farm, in Thetford, Vermont, is now operational. 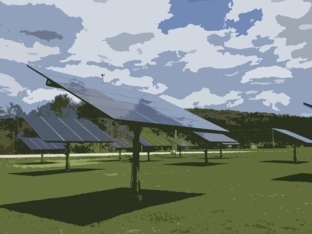 Unlike the state’s earlier community solar installations, the TSCS farm has a mix of types of members. Woodstock's First Community Solar Array! Rainbow Playschool is moving its location to the old “Purple Crayon” building near the Mt Tom sledding hill. In addition to the new location, they will also be building a 150 kWh Community Solar Array to be installed by Sundeaver. 50 kWh of the solar array’s electricity is planned go to the “Rainbow Playschool” which would leave 100 kWh of additional solar electricity which can be purchased by local residents. 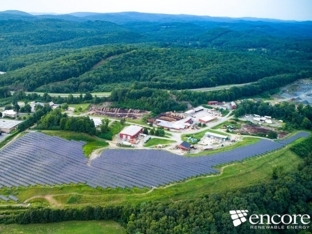 On October 11, 2018, the solar array at the landfill in Brattleboro, Vermont, was formally commissioned. Officials from a number of interested organizations were on hand, along with those of the Windham Solid Waste Management District, which manages the landfill. The solar array had been generating power since June 30. 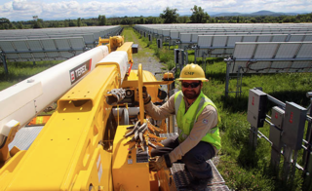 Vermont Public Power Supply Authority ("VPPSA") and Encore renewable energy ("Encore") today formally announced a partnership to pursue development of approximately 10 megawatts of solar capacity on behalf of VPPSA's Member municipal utilities. Vermont Energy Cooperative (VEC) and other energy companies collaborate to implement a utility scale storage project. The project plans to involve a battery with 5.35 MWh energy storage capacity. During early July heat wave, Green Mountain Power's solar + storage facility and residential storage helped offset 17,600 pounds of carbon during peak energy demand.